Here's a little something to brighten your Monday... a chance to win a $45 credit to Bohemian Bisoux Vintage! Simply leave a comment on this post between now and next Sunday, August 29th at 11 p.m. Central Time. Only one comment per person, please. A winner will be randomly selected and announced next Monday, August 30th. This contest is open to international readers. ohhhhh.... i hope i win! Ah. I need a denim jacket just like that one! How fun! Thanks for the contest lady. oh, this would be the perfect way to kick start my fall wardrobe! i'd love to win! katie dot soderberg at gmail dot com! Good eye. You chose the items that speak to me most. I would love to own them. 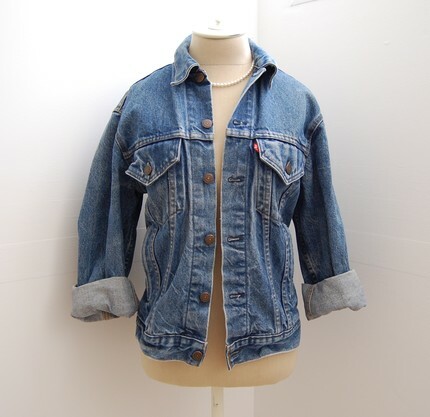 Love that denim jacket...I've been looking for one. Oh yeah! I could use so vintage threads just in time for Fall. Oooh, these are sooo lovely!! I love them all:) This is a great giveaway, but I can't enter...sorry. They have amazing vintage hats!!! I would love to win so I could justify getting one of those! OHHHHH! I love the vintage hats. Perfect for fall. I love those pink heels from your previous post! So many pretty hats. so little money. hope I win. I could definitely use this to help worn out fall wardrobe. I love the vintage tooth necklace. I want it!!! Fun! I could use some new lovely things - thanks!! Wow, they have some amazing stuff. those are so cute! I love the cuffed denim jacket look. Beautiful shop. She has such lovely hats!!! I think I would probably pick... "The Neil" woven leather belt though. thanks! great offer! a hot pink or deep purple ruffly top, tucked into high-waisted leather leggings, with these shoes and jean jacket! Yay! They have such wonderful pieces! Yay, thanks for the opportunity! ooh eee, i would enjoy the "ringo" shoes. Wow, I had no idea there were things like this available in my size. Thanks for the link! I love BB's 1930's hats! Such beautiful things in the shop! Awesome! I love your blog and your sponsors are always such a delight to browse. YAY! I Love Bohemian Bisoux! Maybe this will be the giveaway I finally win?!?!?! count me in, such wonderful things! Looks like there is some great stuff! Count me in! Thanks for hosting the giveaway! Giveaways are just one more reason to love the blogosphere. Those shoes are fantastic. Ooh, love the jean jacket and everything on the site! I could really use some pieces for the fall! oh, the shoes are amazing! I'm loving Bohemian Bisoux Vintage's shop! I hope I win! Those shoes are lovely. great giveaway! Beautiful! You always have the best giveaways! I would be happy just to win the two items featured on this page. So sweet. Sweet! Awesome! Wow! Their stuff is so cute! ahhh the shoes. oh the shoes. I've been looking everywhere for a relaxed jean jacket! Great shop! So many lovely things, and very affordable, too. I'm an international reader, hooray! Ahh I hope I win! In need of a new jean jacket! Fun! I love all the vintage hats in that shop. i'm leaving a comment! Love those shoes! Awesome giveaway! I'm crossing my fingers!! YAY, this give-a-way looks fantastic! How exciting, I need something to get me out of this constant rain funk. Hell yeah!! :) Thank you for the giveaway and Bohemian Bisoux is an adorable shop!! awesome giveaway, i'd love to win! Looks like a lovely shop. You've got some great ideas about fashion, and I've enjoyed browsing your website! love your haircut and bohemian bisoux! those SHOES! I might not be able to wait! Great giveaway!! Please enter me! Love the beautiful vintage clothes! 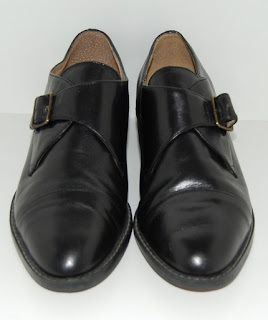 As a freelance stylist, I use a lot of vintage items in my work as you can see on my blog. Take a look!